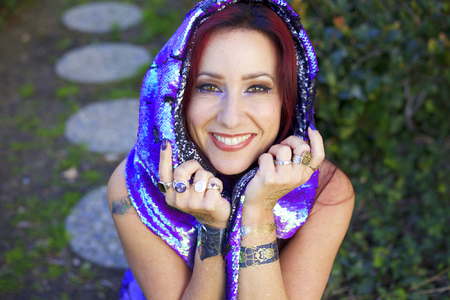 Dr. Athena Perrakis is the bestselling author of The Ultimate Guide to Chakras, Crystals Lore, Legends & Myths, The Chakras Handbook and The Book of Blessings and Rituals. She is the Founder and Chief Executive Officer of Sage Goddess, the world’s largest source of sacred tools and metaphysical education. She holds a PhD from the University of Southern California in educational leadership, and has 15 years of experience as a professor, corporate trainer and consultant, and educator. Athena has traveled the globe and worked with CEOs and senior executives from the Fortune 50 companies. But her metaphysical experience, in which her current work is largely rooted, spans more than 30 years. During that time, she has become an expert in gemology, astrology, Tarot, aromatherapy, Reiki, and herbal medicine.